The 43rd-seeded ’25-’26 Pittsburgh Pirates put up a fight in Game’s 1 and 2, but the 22nd-seeded ’09-’10 Vancouver Canucks put ’em away in Game’s 3 and 4. After the first two games, the Canucks had outscored the Pirates just 9-6, but the Canucks outscored the Pirates 14-2. 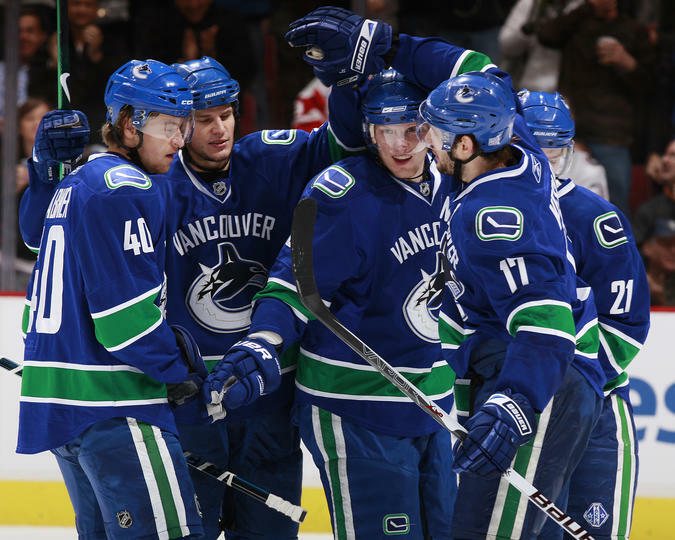 To no surprise, the Sedin twins led Vancouver offensively. Henrik Sedin totaled 13 points to lead the way while Daniel Sedin finished with 10 points. Their linemate, Mikael Samuelsson finished as the top goal-scorer for Vancouver with five goals while Henrik was a close second with four goals. However, six different players scored multiple goals in the series. Ryan Kesler pitched in with three goals and an assist, but all three of his goals were game-winners. The two Sedins were the top playmakers for the Canucks with Henrik posting a team-high nine while Daniel was second with seven. All three members of the Sedin Line were tied for the team-high plus/minus rating at +7 while defenseman Andrew Alberts and Sami Salo were tied for second at +6. Goaltender Roberto Luongo was his usual dependable self. He posted a 4-0-0 record with a 2.00 goals against average and a .927 save percentage. Obviously, the Pirates’ offense was disappeared after Game 2. Duke McCurry was the team’s leading goal scorer and overall scorer with three goals and five points. He was also a part of a six-way tie for the team lead in assists at two, which included Hib Milks, who was second in goals with two and points with four. Defenseman Lionel Conacher and Rodger Smith were part of that six-way tie with two assists. Pittsburgh didn’t have a player finish above even in plus/minus and only Baldy Cotton posted a non-negative plus/minus and he only appeared in two games. The legendary Roy Worters was in goal for the Pirates, the poor guy. He posted a 4-0-0 record with a 5.75 goals against average and a .873 save percentage. In their UNP debut, the ’09-’10 Canucks easily advance to the Second Round. Vancouver’s representative has made it out of the First Round in all three UNP’s. However, they’ve only made it out of the Second Round once. In the Second Round, the ’09-’10 Canucks will face the 11th-seeded ’98-’99 New Jersey Devils, who are also making their UNP debut. The Pirates franchise is just one of the many low seeds still looking for their first UNP series win. Next up in the First Round, the 29th-seeded ’11-’12 Phoenix Coyotes take on the 36th-seeded ’08-’09 Columbus Blue Jackets! This entry was posted in 1st Round, Ultimate NHL Playoff and tagged Alexandre Burrows, Andrew Alberts, Baldy Cotton, Christian Ehrhoff, Daniel Sedin, Duke McCurry, First Round, Harold Darragh, Henrik Sedin, Hib Milks, Lionel Conacher, Mikael Samuelsson, Pittsburgh Pirates, Roberto Luongo, Rodger Smith, Roy Worters, Ryan Kesler, Sami Salo, Ultimate NHL Playoff, Vancouver Canucks. Bookmark the permalink.